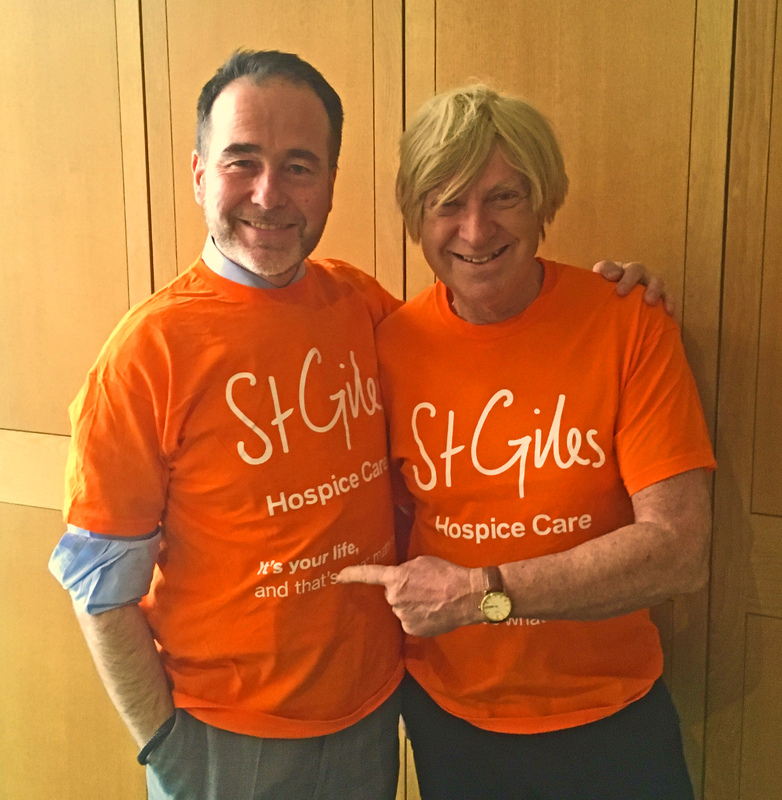 Michael Fabricant and Christopher Pincher go Orange to support St Giles Hospice! The MPs for Lichfield and Tamworth came together on April 3rd as part of raising awareness and funds for the vital care services St Giles Hospice provides for those living with a terminal illness. And they went orange! Families, friends, local community groups, businesses, shops and schools are being encouraged to join in the fun by decorating their premises orange, dressing in orange or staging themed events like an orange ‘bake off’ or a ‘decorate an orange’ competition. Supporters who sign up for a fundraising pack can also enjoy a 10 per cent discount in all St Giles’ shops every Wednesday in April. Emma Hodges, Chief Executive of St Giles Hospice, said: “Many people are fearful of the word ‘hospice’ thinking that it is just a building and somewhere you go to die. ‘Orange Wednesday’ aims to show that hospices are warm, vibrant and celebrate life. “Eighty per cent of our support is delivered out in communities and in people’s homes. Yes, of course we also have beds for people who need to spend some time with us, but we do so much more than people realise. “St Giles supports over 7,000 people each year facing the challenge of a potentially terminal illness. But there are at least another 1,000 people in the community who could benefit from our support if the funds were available. “That’s why we are calling on people to get involved on this special day and to let everyone know about the work that St Giles does and hopefully reduce some of the fear around hospice care. Commenting on the Campaign, Michael Fabricant said: “I’ve always been keen to spread the word about the wonderful work of St Giles Hospice. I am glad this time all I had to do was wear an orange Tee shirt and not ride a cycle naked. “It also makes a pleasant change from Brexit” he added.